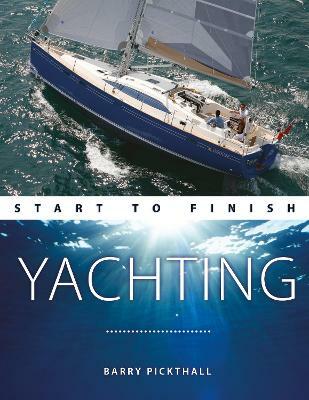 Yachting Start to Finish is the perfect book for you if you are new to sailing, or if you are an experienced sailor wanting to broaden your skills and develop your techniques. This easy-to-follow, step-by-step guide takes you through the basic principles, preparing to sail, your ... read full description below. Yachting Start to Finish is the perfect book for you if you are new to sailing, or if you are an experienced sailor wanting to broaden your skills and develop your techniques. This easy-to-follow, step-by-step guide takes you through the basic principles, preparing to sail, your first sail and safety at sea. It includes advice on choosing and buying a yacht, essential equipment, boat handling, tides, weather and navigation, all taken from the courses delivered by the UK's biggest sailing school, the UKSA. This book is accessible to all levels, giving those new to sailing straightforward advice, and showing experienced sailors how to take their sailing to the next level with professional tips on how to sail faster and safer. It covers day keelboats and cruising yachts. This book is packed with hundreds of illustrations and photographs, and is a great way to learn, develop and refresh your sailing skills. Barry Pickthall is a respected sports writer and photographer and has been covering all aspects of sailing and boating for the past 35 years, 20 of them as a yachting correspondent to The Times newspaper. He has been covering the international stage for the past 4 decades from the Olympics to America's Cup and Round the World Races. Barry is also a qualified sailing instructor - having graduated from one of the first courses held at the UKSA.